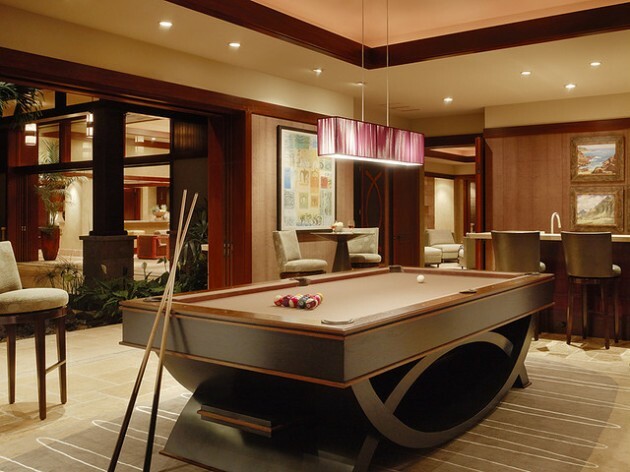 A billiard room (or pool room) is a recreation room, such as in a house or recreation center, with a billiards, pool or snooker table. 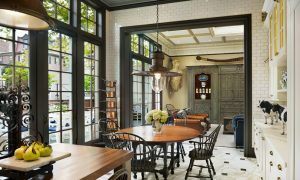 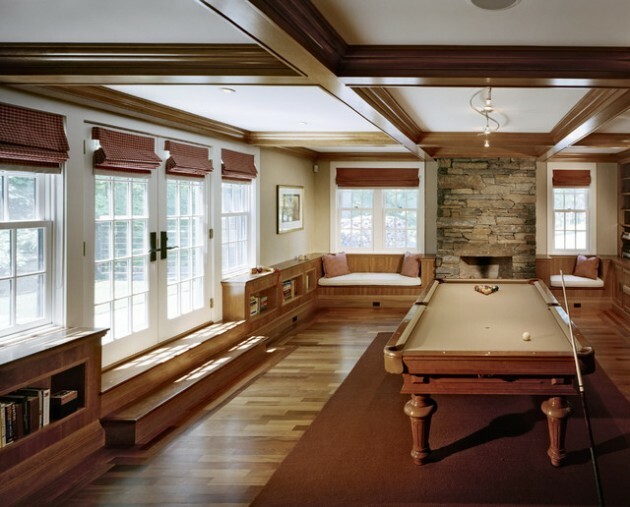 A one-table billiard room requires enough space around the table to accommodate the range of a stroke of the cue from all angles, while also accounting for chairs, the storage rack and any other furniture that is or will be present. 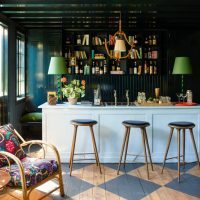 Optimally, there should be at least 6 ft (1.8 m) of clearance between the table and any walls, furniture or other objects, on all sides and at all corners of the table. 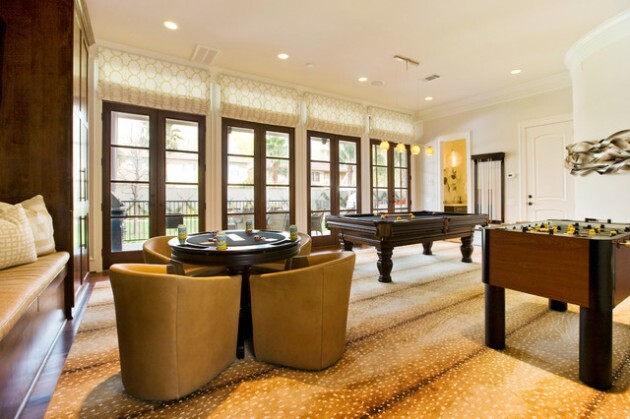 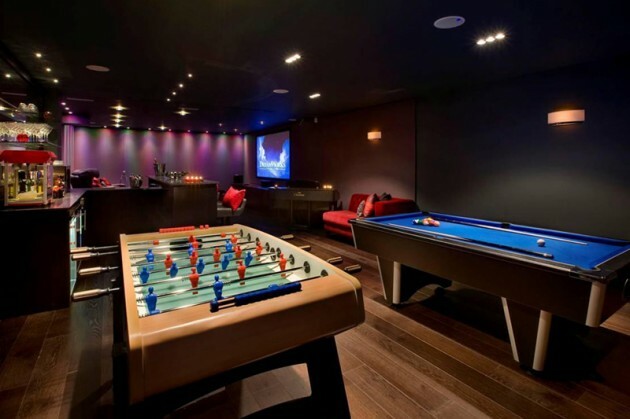 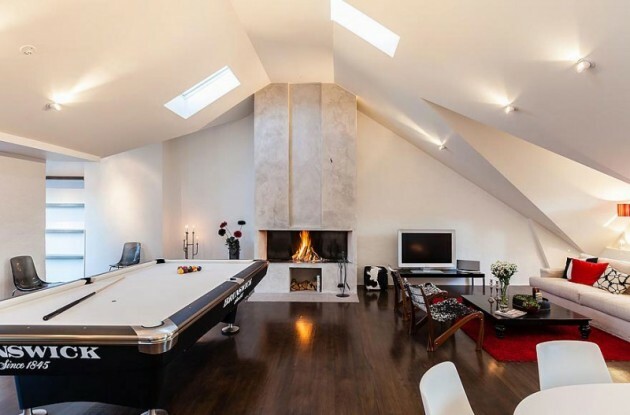 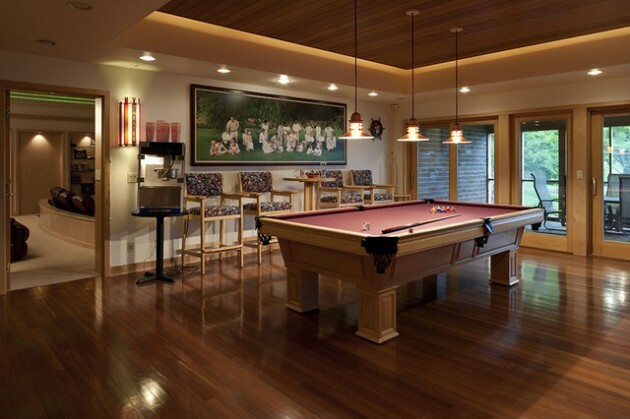 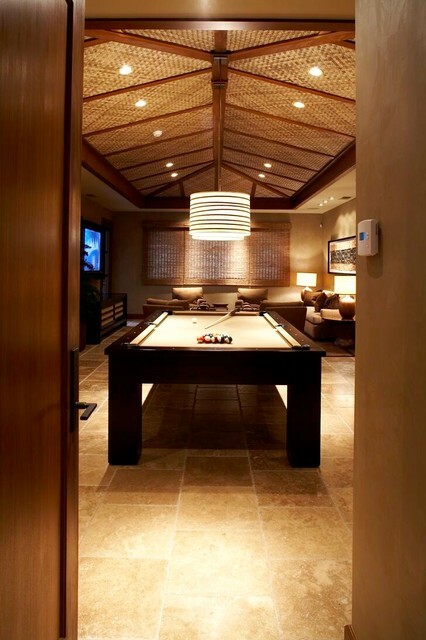 Lighting is important to the design of a billiards room. 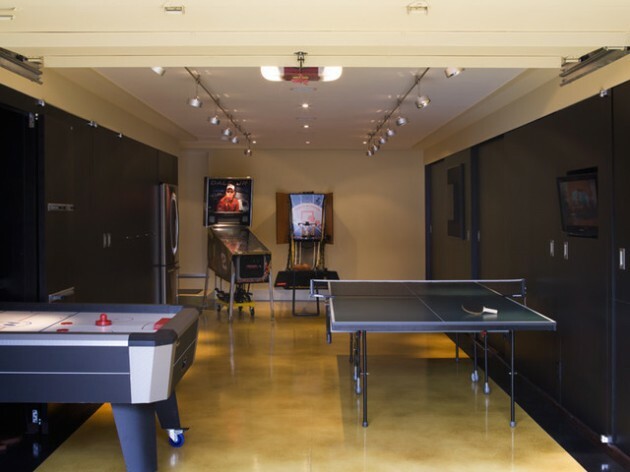 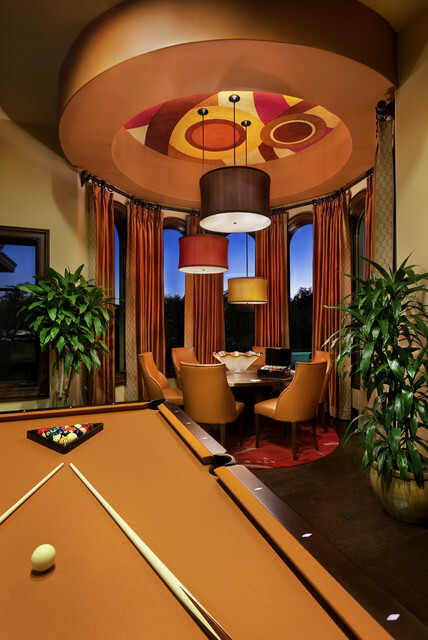 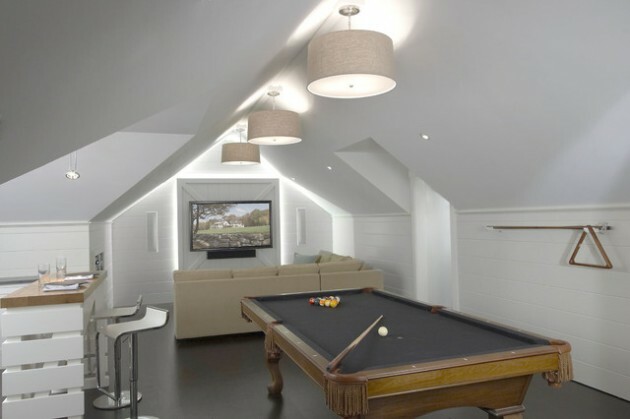 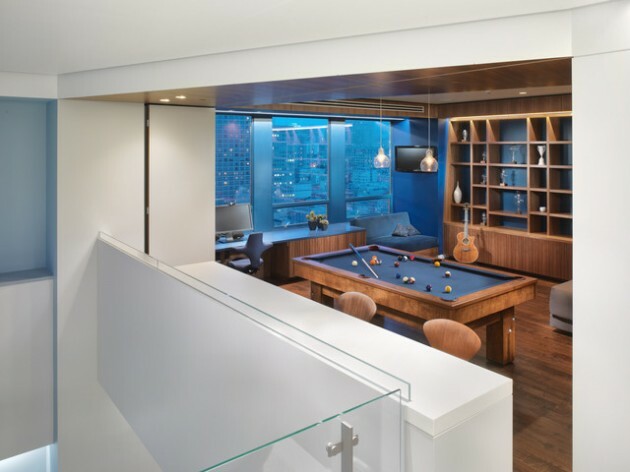 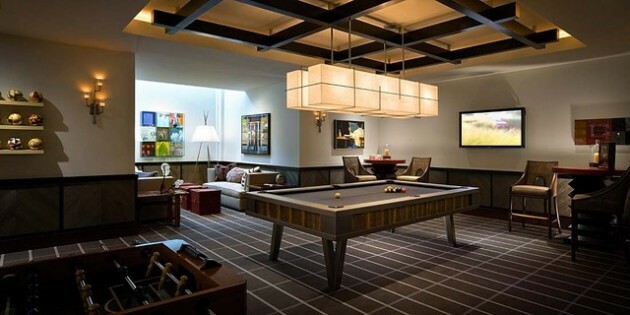 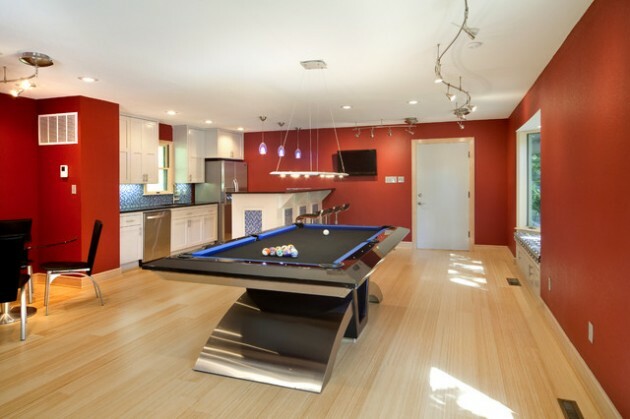 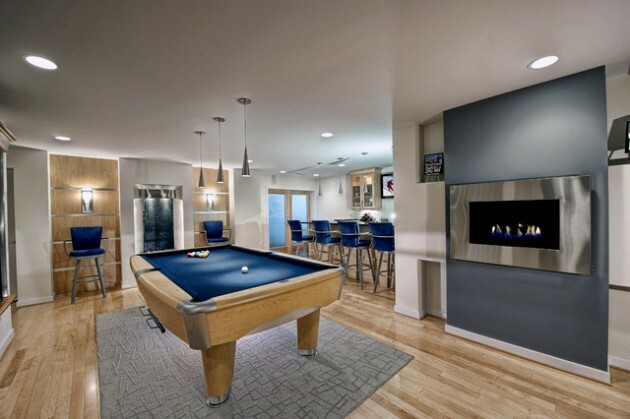 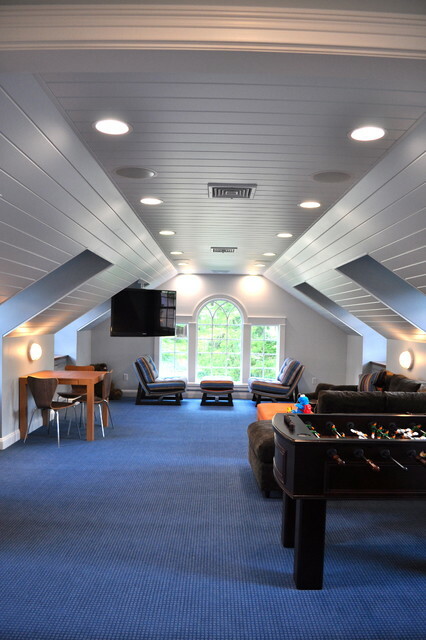 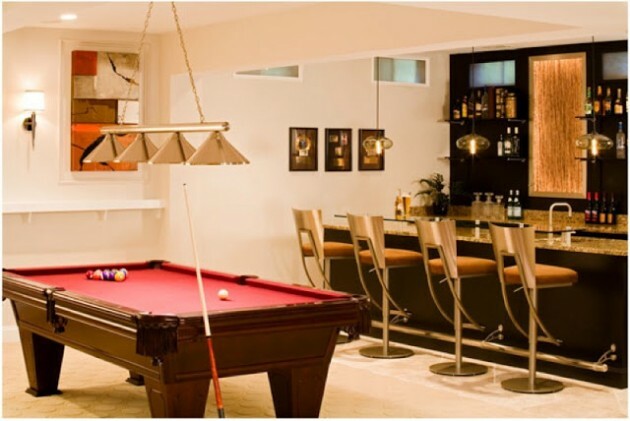 Billiard rooms need overhead lighting, and a multi-bulb light fixture specifically designed for illuminating a billiard table is most often used. 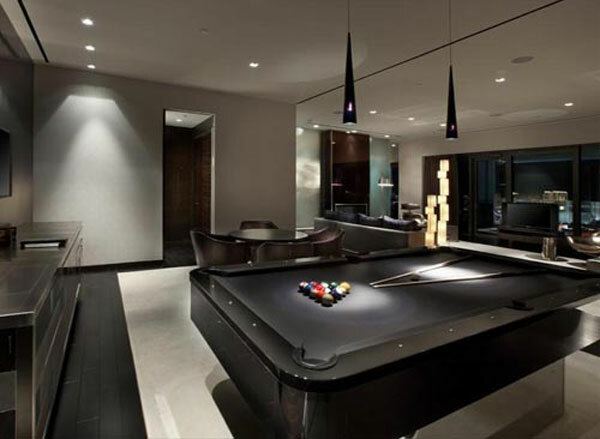 Such fixtures are available in both incandescent and fluorescent models, and range from crude to highly ornate. 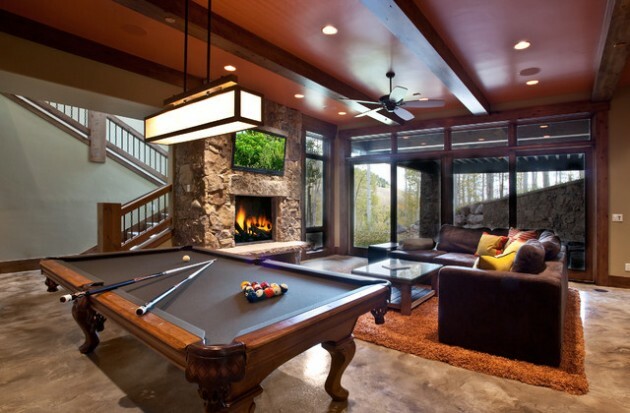 Billiard rooms with windows usually employ curtains or blinds during daytime use, to prevent excessive glare. 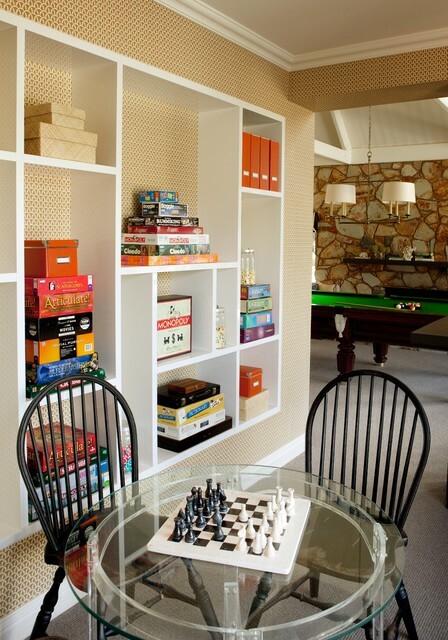 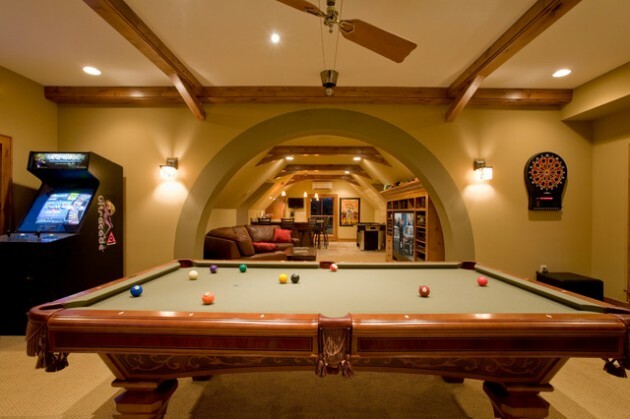 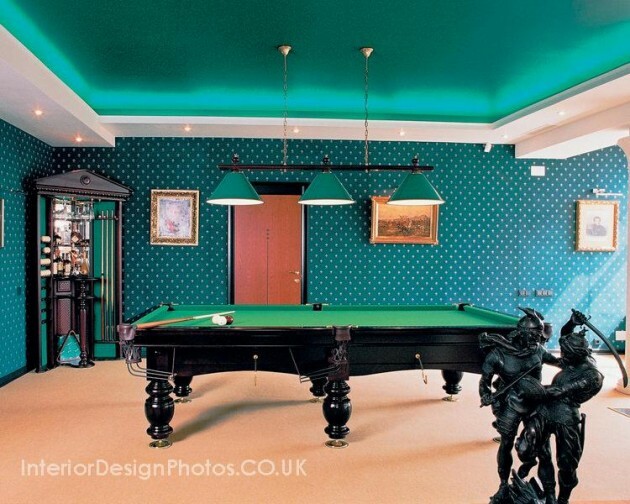 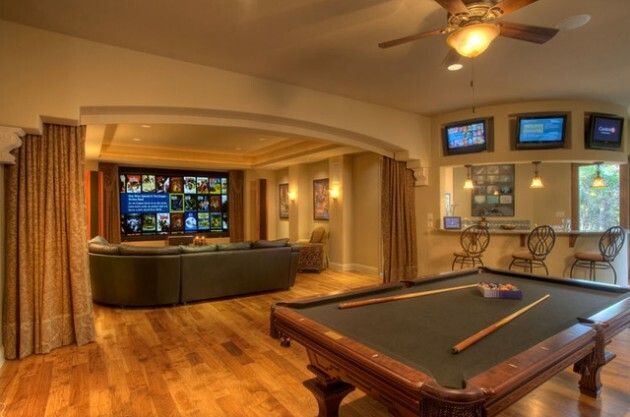 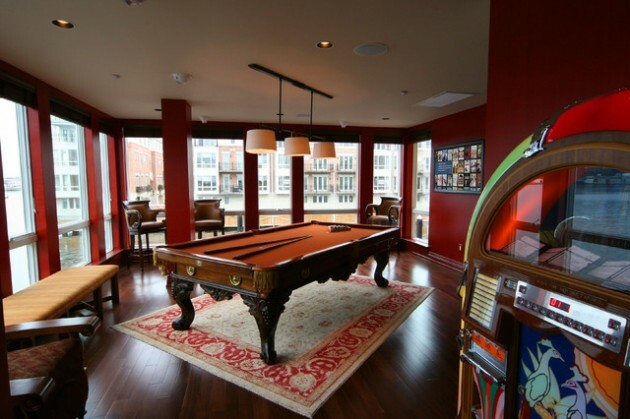 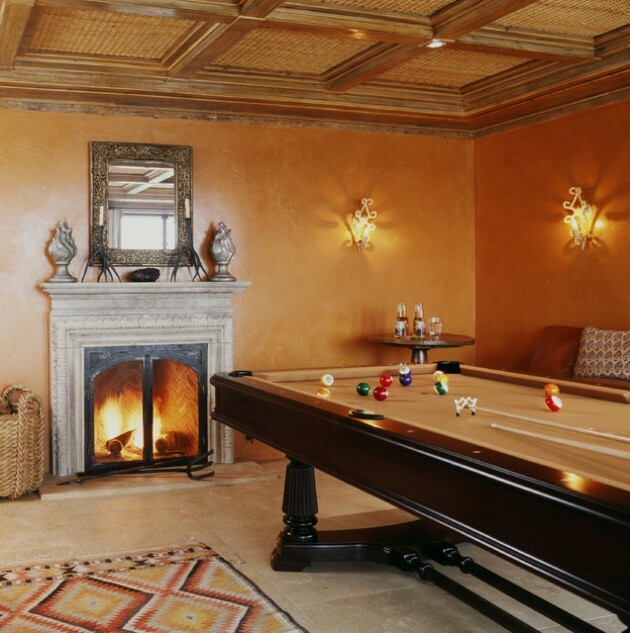 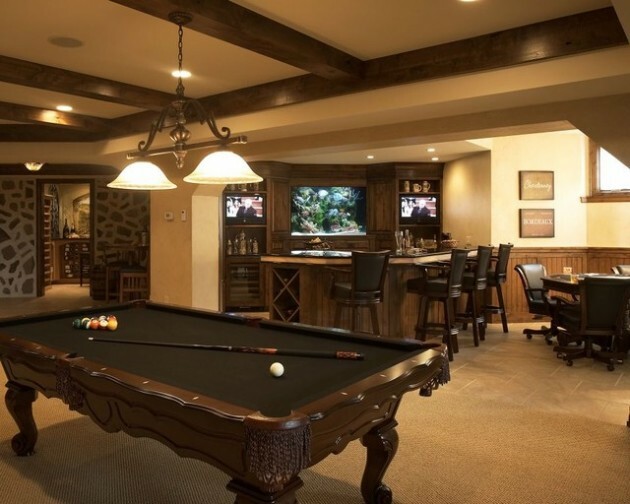 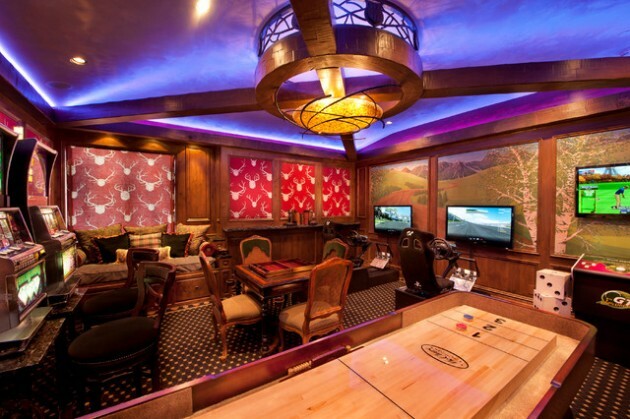 When designing a billiard room you have endless options. 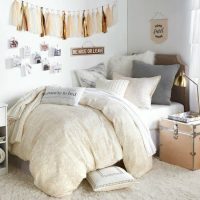 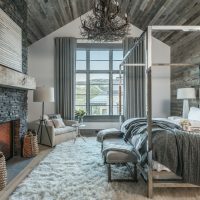 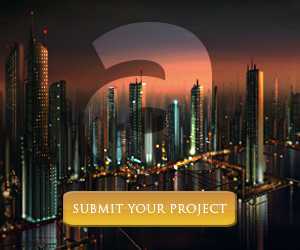 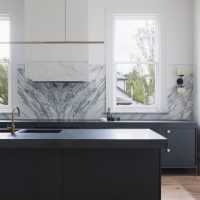 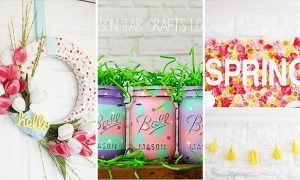 Everything depends on your desire and your home decor. 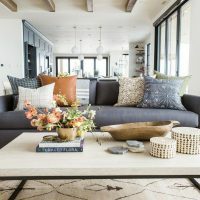 Every color looks great if you use it right.